BOGOTÁ, COLOMBIA — A new ruling by the Constitutional Court in Colombia has left the future of community referendums in an ambiguous legal territory. For concerned activists and citizens, referendums are one of the few democratic tools available to protect their communities from multinationals implementing grand-scale mining projects. But the high court decided last month that local referendums could not ban energy projects. “The outlook for future referendums is complicated because while they can continue to be held, there is the possibility that lawsuits against them will allege this precedent applies and court rulings could follow,” Helena Durán, a researcher at Dejusticia, a Bogotá-based advocacy organization that has provided legal support to select referendums, told Latino USA. This latest sentence creates a “very complicated limbo,” Durán says. The ruling happened in response to a lawsuit filed by the multinational Mansarovar Energy Colombia after the municipality Of Cumaral voted last year to prohibit oil exploration. While the decision only affects the Cumaral referendum, it sets a binding legal precedent that contradicts the law and previous court sentences. When the 22,000 residents of a farming town in central Colombia succeeded in halting operations on a multibillion-dollar gold mine last year through a referendum, the victory spurred a wave of similar votes throughout the Andean country. In the next five months, at least five referendums designed to register public opinion on extractive projects followed, and an additional 40 were left pending. When national authorities hand concessions to multinationals for grand-scale mining projects, local communities are usually left out of the decision-making process. These communities argue that as the party most impacted by the projects, they deserve a seat at the negotiation table. Since the first vote in Colombia was held in 2013, the national government has stated a municipality does not have the authority to ban energy projects through votes because the subsoil contended in these referendums is owned by the state. In a previous decision, the Court said federal law authorizes municipalities to hold referendums to decide on projects that directly affect its people. The latest ruling leaves the referendums in unknown territory. For mining companies, associations, and investors, the ruling has offered relief after a rising number of referendums halted or threatened operations on energy projects. This apparent reversal could be partially explained by a change in all five judges in the high court in the last few years, says Durán. “This decision not only gives life to several mining projects that would have been truncated by the (votes) but begins to give positive signals in terms of legal security,” the Colombian Mining Association (ACM in Spanish) told Reuters after the ruling. Still, the wave of referendums has not shown signs of stopping. Less than a week after the Court ruling, the municipality of Fusagasugá, two hours south of Bogotá, held the first referendum in Latin America to ban fracking. The “no” campaign won overwhelming, with 99 percent of the vote. The vote, which affects the 100,000 inhabitants of Fusagasugá, was also the largest to be held in the country. “Considering the threats made by the state against the referendum, this win shows that the territories demand to be heard and demand to a have an active and decisive say in decisions related to subsoil use in the territories,” says Rosa Ballesteros, a Fusagasugá native and member of an organizing committee that pushed the referendum. Despite the Court ruling, Ballesteros is optimistic about the future of anti-mining referendums. She says the Fusagasugá referendum has yet to face any legal challenges, and that more votes are on the way in Colombia. Even municipalities that have been forced to place their votes on hold due to a lack of federal funding are deciding to fundraise local money to hold the votes. The anti-mining referendums are not singular to Colombia, but are part of a larger grassroots backlash to a mining “boom” in Latin America. In the 2000s, prices for precious minerals and metals reached record-breaking highs and resource-rich countries rushed to make a profit. Various Latin American countries passed neoliberal reforms that privatized the mining industry and made investment more appealing for multinationals. 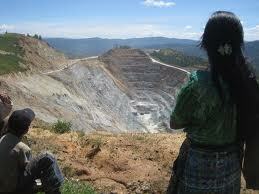 As a result, the number of socio-environmental conflicts increased. The first anti-mining referendum in Latin America was held in Tambogrande, Peru in 2002. This form of direct democracy used to resolve mining-related disputes spread to Argentina, Guatemala, Ecuador, Colombia, and most recently, El Salvador, which implemented a nationwide metal mining ban in 2017. In total, at least 95 referendums have been held throughout Latin America since 2002, according to a 2017 study. In Colombia, numerous factors have made the use of anti-mining referendums an increasingly popular option, according to Durán. Municipalities have been taken aback by the number of mining titles granted by the national government without their knowledge or approval, and have been arriving at the conclusion that the energy projects disfavored local interests. During former president Alvaro Uribe’s administration, the total number of mining titles granted tripled from 2002 to 2009, according to a report from the law firm Norton Rose Fulbright Colombia. 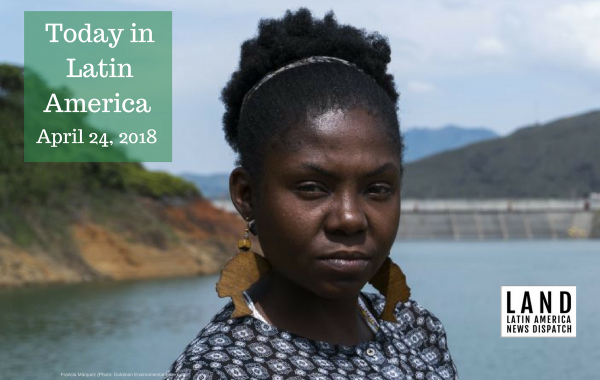 While commodity prices began to level off by 2012, the next administration continued to promote mining, arguing the extractive industry could provide a welcome boost to the national economy and help provide much-needed funds for Colombia’s implementation of the 2016 peace deal. 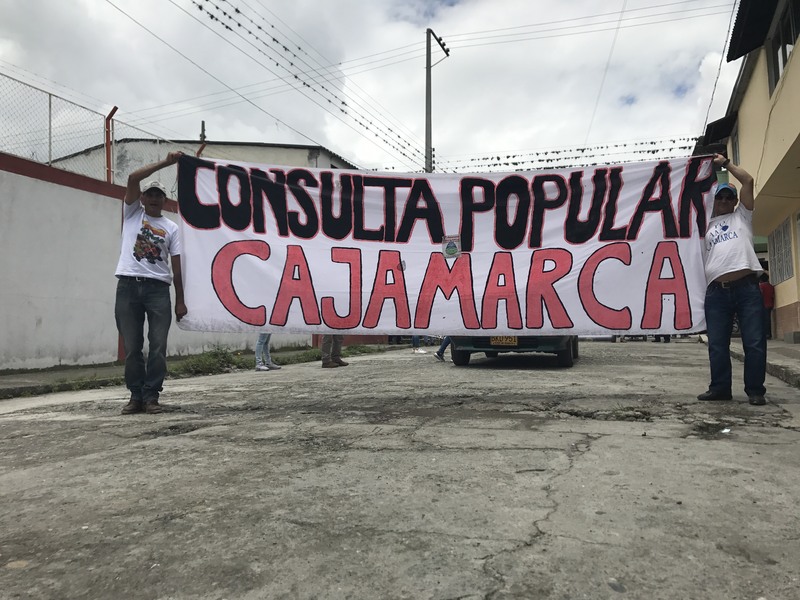 But, in Cajamarca, where voters rejected the massive gold mine project last year, residents say they prefer to maintain their longstanding agricultural traditions than to transform their home into a mining town—despite promises of progress made by multinationals and the national government. 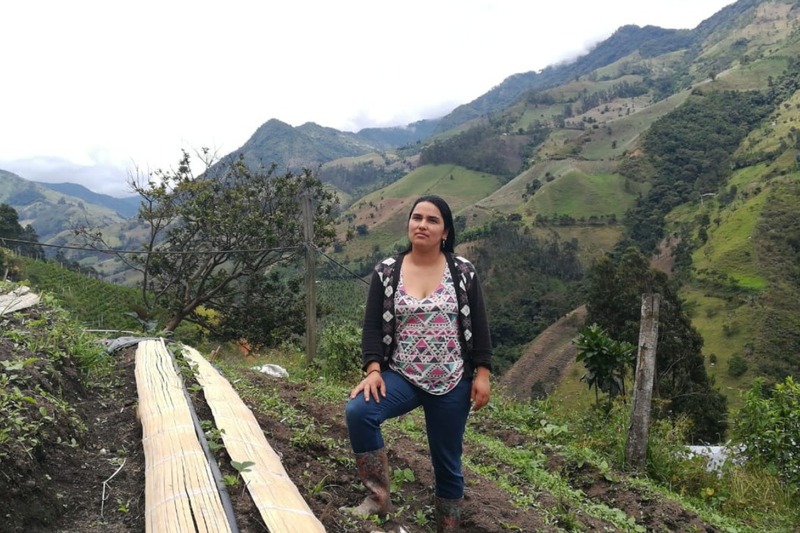 Elizabeth Muñoz, a 34-year-old farmer, cultivates beans, corn, parsley, and arracacha, a native South American root, in her family’s farm nestled in the highlands of Cajamarca. The South African mining company AngloGold Ashanti has found $35 billion of gold underneath a mountain facing the farm, but Muñoz believes the project could bring more harm than good. Muñoz fears the toxic chemicals used to separate gold from solid rock could leak into the fresh water supply. As a farmer, Muñoz is concerned the mine could impact the environment, her family’s health, and their livelihood. 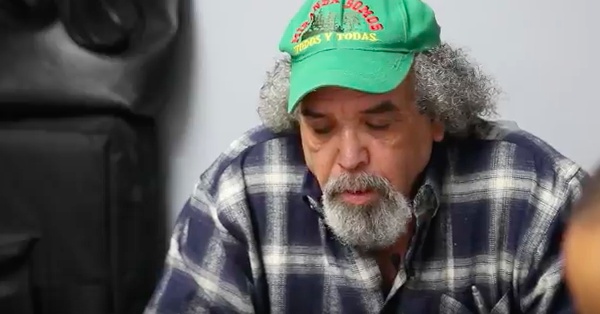 “Who’s going to want to eat crops contaminated with cyanide or mercury?” Muñoz says. When AngloGold Ashanti arrived in 2007 to begin the exploration phase, Muñoz knew little about the project or its impacts. She says the government never consulted or informed the local population about the gold mine, but rather researchers from international non-governmental organizations such as Pax Christi offered locals informative talks and forums about the gold mine. “Before they grant concessions, they should ask us if we support the project, and not only ask us, but inform us about the project,” Muñoz says. The Constitutional Court called on Congress in 2014 to create a mechanism that would allow municipalities to participate in decisions related to mining projects. But Congress has yet to act, and Durán argues there is no guarantee that the legislative body will do so in the coming years. The new ruling could potentially leave municipalities in the same tough scenario they found themselves years ago, forced to accept mining projects imposed on them by the central government.